Summer’s heat is still here and with the National Weather Service issuing a heat advisory until 8 p.m. tonight, you’re encouraged to take precautions if you have to be outside today. Heat index values will be around 105 degrees due to temperatures in the middle to upper 90s, and dewpoints in the lower to middle 70s. This heat and humidity may cause heat stress during outdoor exertion or extended exposure. Take extra precautions if you work or spend time outside. When possible, reschedule strenuous activities to early morning or evening. Anyone overcome by heat should be moved to a cool and shaded location. Heat stroke is an emergency – call 9-1-1. And please remember … It is never safe to leave a toddler, disabled person or pet in a car. June is Pet Preparedness Month. And it’s also the beginning of summer — officially beginning today, June 21 — and that means hot weather. Please remember: Never leave pets (or children) in the car! Temperatures rise quickly even with the windows down and it can be deadly for your pet. Be sure your pets have access to plenty of water, especially when it’s hot. Make sure your pet has plenty of shady places to go when outdoors. Test sidewalks with your hand. If it’s too hot for your hand, it’s probably too hot for your pet. Avoid exercising with your pet outside on extremely hot days. Since pets cannot plan for themselves, it is important to make a plan for your pet’s safety. Build a separate emergency kit for your pets. View what items should go in it: www.ready.gov/pets. Include the number of an out of town relative on your pet’s ID tag. Think about “microchipping” your pet. These permanent implants help locate your pet following a disaster. Get more pet preparedness tips and information from Ready.gov. The National Weather Service has issued a heat advisory today, in effect until 8 p.m. tonight. Heat index values will be up to 107 degrees with maximum temperatures in the mid to upper 90s. The heat and humidity may cause heat stress during outdoor exertion or extended exposure. Staff from our Office of Emergency Management, Health Department and Office to Prevent and End Homelessness joined us to discuss today’s heat advisory, what you can do to stay cool and safe in the summer heat, as well as what you should be aware of and can do to assist our vulnerable population. For more information on extreme heat, visit www.fairfaxcounty.gov/emergency/hazards/extreme-heat.htm. 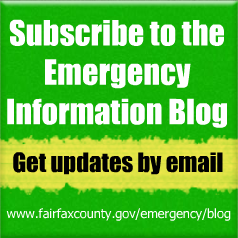 For the current weather forecast, visit www.fairfaxcounty.gov/emergency/weather-forecast.htm. The National Weather Service has issued a Heat Advisory, in effect from noon to 7 p.m. today, Thursday, July 20. A Heat Advisory means that a period of high temperatures is expected. Heat index values of up to around 105 degrees are expected. The combination of high temperatures and high humidity will create a situation in which heat illnesses are possible during outdoor exertion or extended exposure. Extended excessive heat is expected across the region through the weekend; severe thunderstorms also are possible tonight through the weekend. Drink plenty of fluids: Drink two to four glasses of cool fluids each hour. Your body needs water to keep cool. Drink water even if you don’t feel thirsty. Do not drink caffeinated or alcoholic beverages because they dehydrate the body. To reduce risk during outdoor work, take frequent rest breaks in shaded or air conditioned environments such as shopping malls, etc. Resting for just two hours in air conditioning can significantly reduce heat-related illnesses. Consider spending the warmest part of the day in public buildings such as movie theaters, shopping malls and other community facilities. 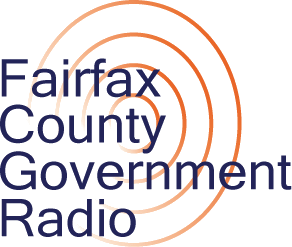 You can also visit one of Fairfax County’s Cooling Centers. Anyone overcome by heat should be moved to a cool and shaded location. Heat stroke is an emergency — call or text 9-1-1 immediately. The Metropolitan Washington Council of Governments has issued a Code Orange Air Quality Alert today for the D.C. metro area. A severe thunderstorm watch, issued by the National Weather Service, remains in effect until 9 p.m. this evening. In addition, a heat advisory is in effect until 7 p.m.
A severe thunderstorm watch is issued by the National Weather Service when conditions are favorable for the development of severe thunderstorms in and close to the watch area. A severe thunderstorm by definition is a thunderstorm that produces one inch hail or larger in diameter and/or winds equal or exceed 58 miles an hour. A Heat Advisory is issued when the heat index value is expected to reach 105 to 109 degrees (east of the Blue Ridge) or 100 to 104 degrees (west of the Blue Ridge) within the next 12 to 24 hours. A Heat Advisory may be issued for lower criteria if it is early in the season or during a multi-day heat wave.